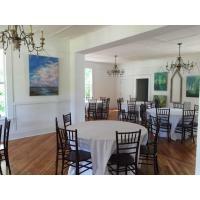 Park Place by McLane is a beautiful remodeled chic farmhouse that has local history here in Valdosta.Built in 1906, the Park Place has been beautifully refurbished as a gathering and events venue. 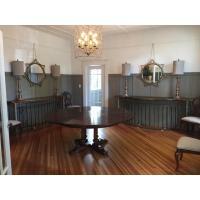 McLane has opened this historic home for families to enjoy as they commemorate the events of life – such as before or after a funeral, gatherings for families after celebrating a loved one, baby or bridal showers and birthday events. This elegant venue will welcome your family for any need, while being just like home. You can rent the Park Place with a caterer - we proudly partner with Covington’s (see also our restaurant guide). Or, if most suitable, provide your own family favorites. Our fully outfitted kitchen can accommodate your needs. We hope we have thought of everything to make your occasion special. We believe that the success of any business requires dedication and professionalism. In our business, in particular, it also requires a great deal of kindness, compassion and attention to detail. You'll find these qualities in each and every member of our staff here at McLane Funeral Services . Please call us at 229.242.5544 for more information about your particular gathering.